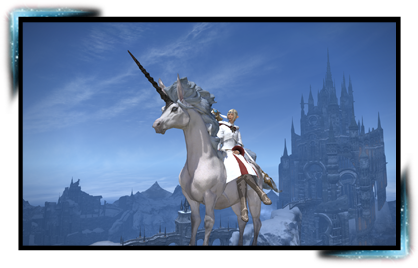 Learn about the various avenues through which you can adventure in the realm of Eorzea. Become a mage and wield destructive arcane magics, or take up sword and shield to do battle on the front lines. Draw a bow to assault enemies from afar, or steady your spear to strike at vital spots. Each class has its own unique set of skills to prove its worth in the heat of battle. Players will start with a limited number of abilities, but their arsenal will grow as they gain in level and complete class-specific quests. 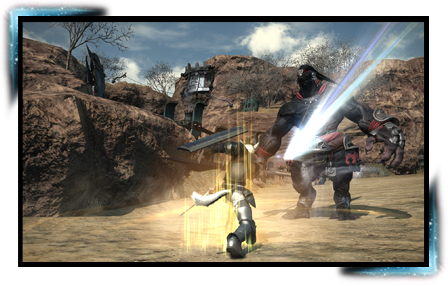 By using skills in a certain order or from certain positions, players can activate combos, which grant additional damage and effects. Through the strategic use of combos, you will be able to dispatch foes with greater efficiency. No class or job is without its weaknesses, and the whole is greater than the sum of its parts. By working together in a party, you will be able to make up for the shortcomings of each individual. A stalwart gladiator protects a thaumaturge, who is casting destructive spells from a distance. Just when the gladiator's strength begins to wane, he receives invigoration from a conjurer's healing spell. Where a lone adventurer would fall, companions can work together to turn bitter defeat into sweet victory. When in a party of four or more, players will have access to the limit gauge, which is filled by attacking enemies or healing allies on the verge of death. When fully charged, the stored energy can be used to activate limit breaks. 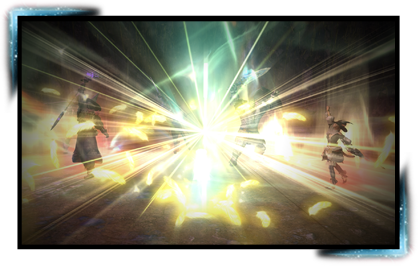 The limit break executed is determined by the role of the party member who initiates it. Used effectively, limit breaks can turn the tide of any battle in your favor. 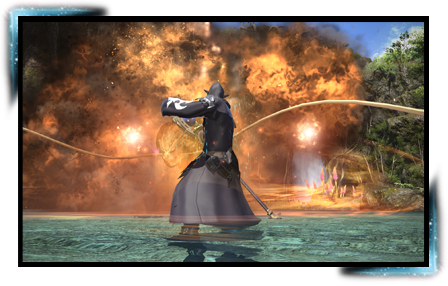 A limit break executed by tanking classes and jobs. 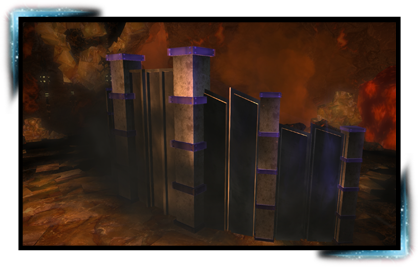 Raise an indomitable wall through sheer willpower, protecting your allies. Drastically raises the defense of party members for a fixed duration. 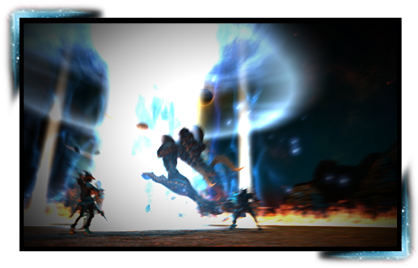 A limit break executed by melee classes and jobs. Concentrate your fighting spirit into a single lethal blow against the enemy. A powerful single target attack. 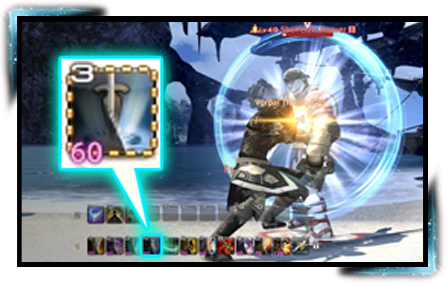 A limit break executed by healer classes and jobs. Bathe your allies in holy light, healing their wounds. Restore the HP of party members. A limit break executed by caster classes and jobs. Summon a meteor from the heavens to decimate enemies on the field. A powerful area of effect attack. 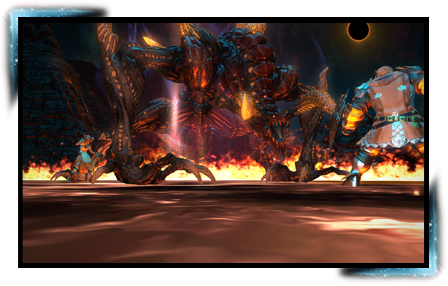 Brave the dangers lurking in dungeons, or stand against the savage fury of the primals. 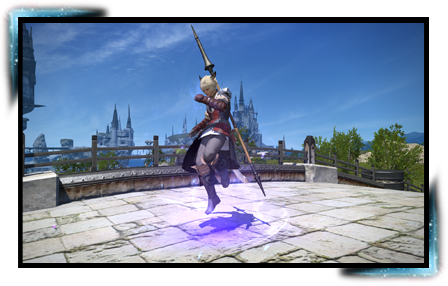 Using the Duty Finder, adventurers can swiftly make common cause with like-minded adventurers to take on the various challenges that abound in Eorzea. 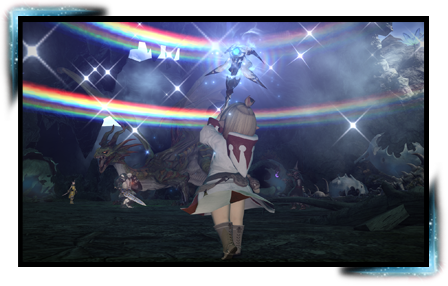 There are myriad ways to traverse the vast realm of Eorzea. 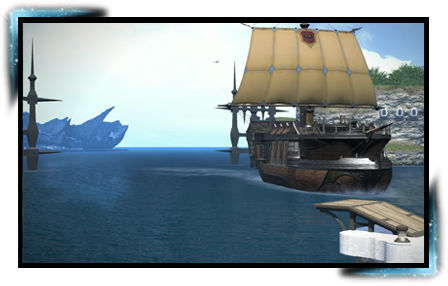 Take flight aboard an airship or sail across Eorzean seas by ferry. 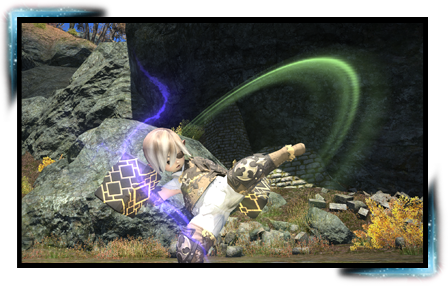 Travel by land using the chocobo porter or whisk yourself to a nearby aetheryte using Teleport or Return. If all else fails, hop on your trusty mount and explore the world as you please. Masterful use of these modes of transport is another part of being an adventurer. 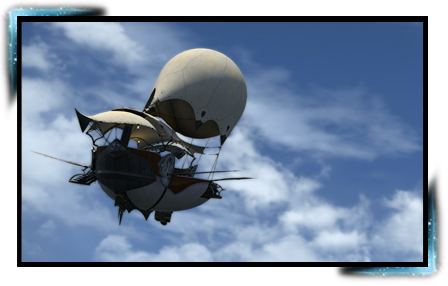 Airships are miracles of the Eorzean skyscape—flying vessels born from the ingenuity and ambition behind the Garlean Empire's most advanced technologies. 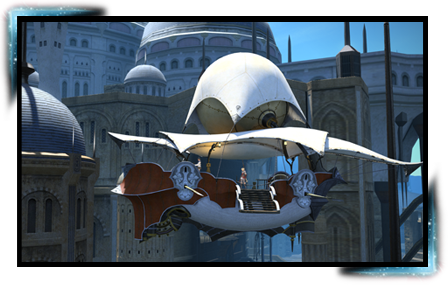 The airships of the realm's free nations most commonly achieve flight by either one of two means—large balloons of hide and cloth filled with gases less dense than the surrounding air, or wings of magitek making, made to beat by powerful ceruleum-burning engines. Despite whatever technological simliarities they may share, however, the realm's vessels are easily distinguishable on sight from the enormous and sinister juggernauts of Garlemald—armored monstrosities designed for the sole purpose of destruction. By pioneering the sky routes between the realm's major cities and establishing regular flights along them, Highwind Skyways, an institution founded by the exorbitantly wealthy aristocrat and adventurer Tatanora, is now slowly but surely making commercial flight an ordinary aspect of everyday life in Eorzea. Even so, only a few airships are permitted to take flight at any given time, for the Garlean Empire is always watching, ready to strike at the first sight of an enemy vessel. 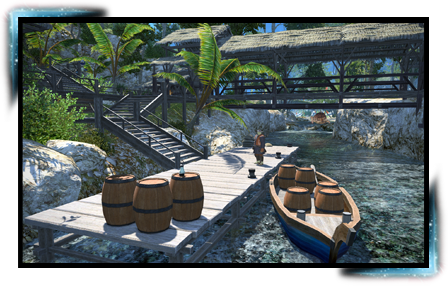 Bridging the waters of the maritime city-state of Limsa Lominsa and the docks of Vesper Bay, the ferry allows adventurers to freely travel between the Eorzean mainland and Vylbrand for a nominal fee. Local ferrymen are also willing to lend their boats to those seeking to traverse shorter distances. 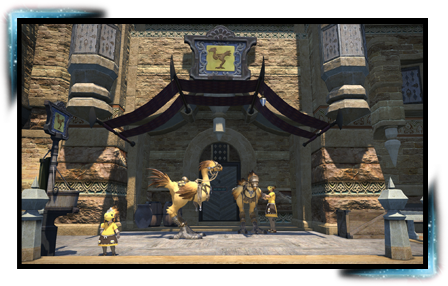 Known for their masks modeled after the ever faithful chocobo, Chocobokeeps can be found at outposts across Eorzea offering adventurers use of their chocobo porter service. 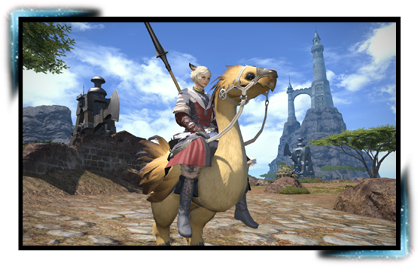 Mounted on one of their specially bred chocobo, travel switfly and safely to one of several nearby stables. These chocobo have been trained to travel specific routes to their destinations, so relax, enjoy the view, and let these trustworthy taxis handle the rest. 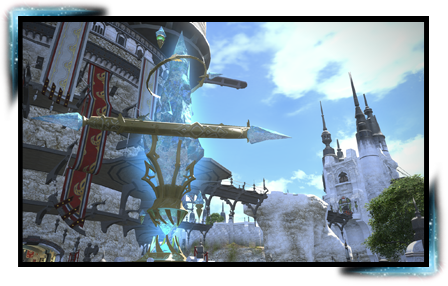 These massive crystals can be found throughout Eorzea, allowing adventurers to travel great distances in an instant. 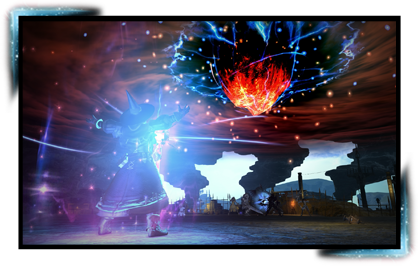 When first attuning to an aetheryte, adventurers will learn the spells Return and Teleport, which are necessary to use these aetherial constructs. For the ever-wandering adventurer, attuning to as many aetherytes as possible will ensure swift transport to nearly any location. The first of two spells learned when attuning to an aetheryte in your starting city. Return can be used in the event of an emergency, such as when you are incapacitated in battle. However, must have a strong connection to an aetheryte for this spell to work, so it may only be used to return to your designated home point. When first adventuring beyond the walls of your starting city, attuning to an aetheryte will grant you the spell Teleport. Using this spell, you can travel instantly between aetherytes to which you are attuned. 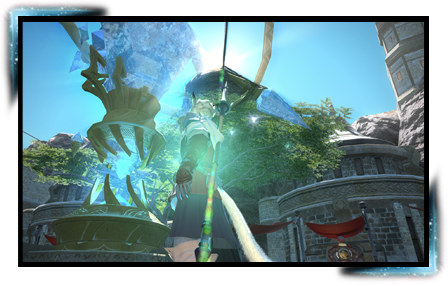 It should be noted that adventurers are expected to pay a small fee in gil for the upkeep of the aetheryte network. No adventurer should set out into the wilds without a trusty mount. 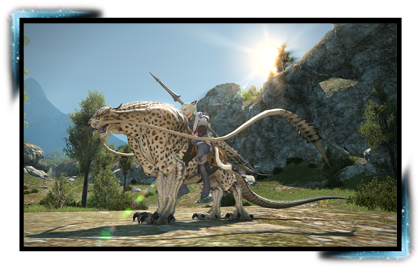 In addition to the ever-popular chocobo, Eorzea is home to a number of other peculiar creatures which may serve as trusty steeds. These flightless birds have sturdy legs with which to swiftly bear you across great distances. Known for the whip-like appendages framing their fang-lined faces, these beasts have been tamed for those who prefer more truculent transportation. This rare creature is rumored to dwell far north in the outer reaches of Coerthas.